I'm often contacted by do-it-yourselfers who just need a small tidbit of information or advice about whatever legal transaction it is they're working on. Unfortunately, even with that tidbit, they're likely to encounter trouble with the matter, and wind up spending more money to fix their own mistakes, than they would have on legal fees in the first place. Hiring a lawyer, I tell them, is the best way to ensure that their deals succeed. Now, I AM a lawyer, so it shouldn't come as a surprise that I;d say this. But it's not just a theory or sales-pitch Now, a study conducted by law professors at the University of North Carolina has reached a conclusion that supports what I've been saying all along. The UNC Study, which focuses on Trademark lawyers, demonstrates that, even while the USPTO's application process has become more user-friendly over the past 25 years, applicants who use a lawyer to prepare their applications are 50% more likely to succeed in getting a trademark registered. Fact is, unless you're doing something every day, week-in, and week-out for several years, you're not an expert. Even transactions that seem simple, can have nuance or subtlety that goes unnoticed by the do-it-yourselfer. Lawyers who work in narrow practice areas (like intellectual property, entertainment, or media law) will almost always have an edge over folks who do things only occasionally. 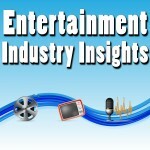 In this episode of Entertainment Industry Insights, I spoke with Eric Sherman. Eric Sherman’s life is dedicated to movies. He has worn every hat: produced, directed, acted, photographed, edited, done make-up, hair and wardrobe, made popcorn, sold movies and collected money from theaters. His purpose in life is to make good films and help as many as possible to do the same. He consults others on all the above subjects, plus business plans, budgets, schedules and expert witness legal services. 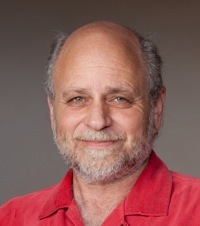 Eric's new book is entitled “How to Plan, Produce & Distribute Your Independent Film“.